What if Arnie could run for president? There is a faintly shrine-like feel to Arnold Schwarzenegger’s offices in Santa Monica, a short walk from the Pacific ocean. There are movie posters, photographs with world leaders, body-building trophies and film props: Conan the Barbarian’s sword, a platoon of cyborgs. There are busts of political heroes: Reagan, Theodore Roosevelt, Lincoln and JFK. A large head of Lenin lurks behind a door – “That represents the losers,” says Schwarzenegger, grinning. Behind another door lies a surprise. “This is the Austrian room,” he says, showing off an exact replica of a wood-panelled Alpine kitchen, complete with cast-iron stove – “exactly the way my mother cooked” – and chandelier made of deer antlers. “If I feel like I want to be back in Austria then we have lunch here.” Schwarzenegger was born there 70 years ago this month. This meeting is to discuss politics: an interview for The Economist about a campaign he is leading against gerrymandered electoral districts. But his immigrant roots are on his mind. For one thing, this centrist, globally minded, environmentally conscious Republican, who was governor of California from 2003 to 2011, is out of step with an age of angry nativism. More urgently, if foreign-born citizens were not constitutionally barred from seeking the presidency, he suspects that 2016 would have been a fine year to test his luck against another celebrity with mass appeal, Donald Trump. “I would have run for president if the constitution had been different, because I definitely think that it was the time for an outsider, and I would have ended up doing well,” he says, waving a smouldering cigar for emphasis. Sceptics may wonder whether Schwarzenegger’s brand of conservatism matches the political moment. He has clashed with President Trump over climate change and over proposed cuts to after-school programmes. After inheriting Trump’s role as host of “Celebrity Apprentice”, a reality TV show, Schwarzenegger had endured jeering presidential tweets about his ratings. Schwarzenegger is anxious not to become a “Trump commentator”. But as another star-turned-politician, he is unusually well placed to explain this populist moment. Like Trump, who is 13 months older than him, Schwarzenegger makes beating establishment politicians sound easy. He recalls rivals for the post of governor who bludgeoned voters with numbers and long words. “Blah, blah, blah, it meant nothing to the people.” He beams as he remembers a debate-stage ambush when he told an opponent to confess his free-spending ways. 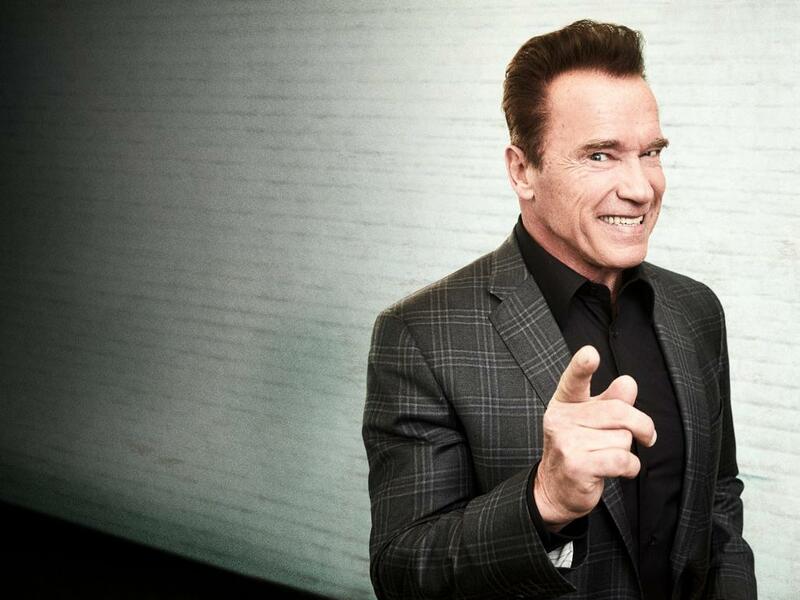 “After he threw around these statistics I said: “Why don’t you look into the camera and just say to the people, I love taxes, I love spending”.” At that point, Schwarzenegger says, the debate was “over”. Asked to define the difference between his brand of populism and Trump’s, Schwarzenegger talks not of politics but of personalities. He notes that on “Celebrity Apprentice” Trump liked lighting that cast deep, scary shadows, so that contestants were “frightened when he walks into that room”. Schwarzenegger feels less need to be feared. Schwarzenegger is a rugged guy. Still barrel-chested and oak-armed, he exudes a sunnier sort of toughness than the president, who shows his mettle with scowls and glowers. His philosophy of politics is more genial too: drawing on his years as governor he argues that the legislative reforms that endure are those backed by both parties, and stresses the danger of seeing opponents as enemies. That is a very un-Trumpian approach to populism, which prompts an unfamiliar thought. What if President Trump’s problem is not an excess of confidence, but a nagging fear that America elected the wrong sort of strongman?